The Holocaust Exhibit is a sound-and-light guided, seventy minute dramatic presentation that covers the period from the 1920s to 1945. Visitors are led back in time to become witnesses to events in Nazi-dominated Europe during World War II. Each visitor receives a different photo passport card with the story of a child whose life was changed by the events of the Holocaust. Throughout the tour, the passport is updated and at the end, the ultimate fate of the child is revealed. A re-creation of a 1930's pre-war Berlin Street café where people are discussing their concerns over the impending Nazi takeover of Germany. Subsequent events and the final destiny of these people are projected overhead. A specially designed room of witness where visitors can see and hear unforgettable stories of the courage and sacrifice of Holocaust victims and survivors. A 4-page letter signed by Adolf Hitler, dated September 16, 1919, six years before the publication of Mein Kampf describes his hatred of Jews outlining his plans which call for, "The uncompromising removal of the Jews altogether." Simon Wiesenthal's Vienna office including original documents, artifacts, furniture and books is one of the newest additions to the Museum of Tolerance's permanent exhibits. It is the setting for a multimedia presentation on the life and legacy of Simon Wiesenthal. In the years before World War II Allied leaders chose the path of appeasement and missed opportunities to stop Hitler. The political decisions made in response to Hitler’s rise to power serve as a cautionary tale for today. 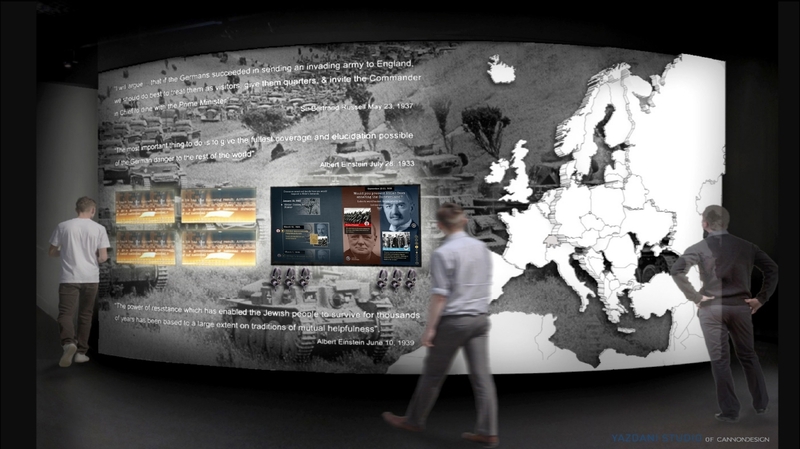 Through a dynamic multimedia presentation, fascinating letters and an engaging interactive exhibit, visitors explore the historic footage, speeches and other records that document events of the time and are prompted to relate lessons learned to current events.